The EMS parts department in Naas has an enviable reputation within the construction, agricultural, and industrial trade sectors for their excellent customer service. Headed up by Brian Wall and Aidan Duffy, the professional parts service offered by the EMS parts team, as well as our extensive supply of genuine spare parts allows for all eventualities that may occur, to be resolved quickly which ensures minimum downtime for customers. The EMS parts department is now online to make it easier for our customers to get the part they require as quickly as possible. To see if we have the part you require enter the part number or a description in the SEARCH box in the top right-hand corner of this page. 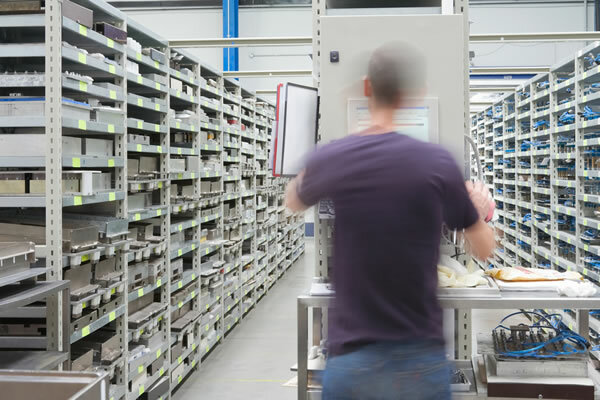 The EMS parts department employs the most up-to-date stock control systems and e commerce system to make it easier for our customers to get the part they require as quickly as possible. We currently have a wide range of surplus Bell dump truck, O&K, Atlas Copco and New Holland parts now available at very keen prices.